The metaphor of something being a double edged sword might have originated in ancient Arabia when swords were the epitome of weaponry. 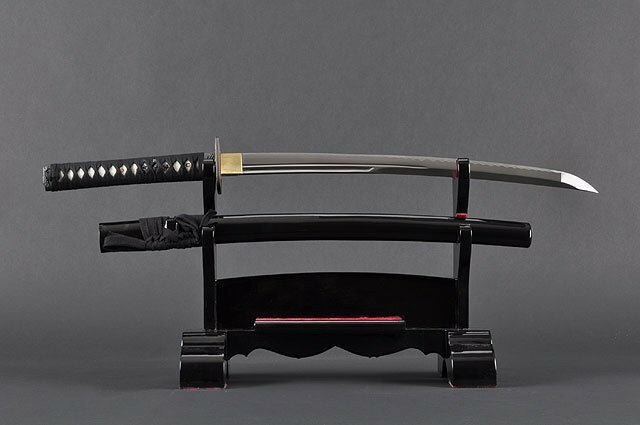 Others might debate that it originated from the days of the Samurai in Japan. Whatever the origin of the metaphor, it means the same thing globally; that something has the potential for being favorable and also unfavorable. Picture the blade which is sharp on both ends. It is a threat to both the opponent and an inexperienced user. The reason for the extensive explanation of the metaphor, is to give a clear picture of what the announcement by the CBOE President that the SEC decision to declare Ethereum (ETH) as not fitting the bill of being classified as a security, paves the way for ETH futures being offered by not only the CBOE (Chicago Board Options Exchange), but also other firms such as the CME Group. We are pleased with the SEC’s decision to provide clarity with respect to current Ether transactions. This announcement clears a key stumbling block for Ether futures, the case for which we’ve been considering since we launched the first Bitcoin futures in December 2017. So why is this a double edged sword? Firstly, and referring to the past market reaction when BTC futures were announced as being offered by both CBOE and CME Group, Ethereum might rally to new highs as was the case with BTC right before December 17th when the BTC futures went live. Bitcoin was trading at $20,000 on the eve of the BTC Futures roll-out. A rally of Ethereum is very welcome. Observing history once again, the price of BTC would then tumble through January and to the current levels we are seeing. Some have even pushed the theory that the BTC futures dragged down prices. Therefore, Ethereum might experience a similar fate of a rally and decline as a result of the SEC giving an unofficial green-light for the offering of ETH futures. Secondly, and using the past history of BTC futures, traders might use the history of BTC outlined above, and decide to short Ethereum. Shorting is the activity of borrowing an amount in stock, or in this case crypto, then immediately selling and hoping its price will decline. When it does so, the trader immediately buys the same amount at a cheaper price. He refunds the borrowed amount and keeps the difference in cash as profits. Shorting will flood the markets with ETH leaving traders who want to go long, with no option than to sell or incur losses. This means that ETH will flood the markets and its price will tumble due to an over supply. Thirdly, the ETH futures might give validity to the crypto-markets and bring in the institutional investors everyone is talking about. As they buy more crypto, the market capitalization of the entire crypto markets is sure to increase and so will the price of all our favorite coins and tokens. This means that we might be headed for the December and January levels once again. In conclusion, the entry of ETH futures was expected and is a welcome proposal. This might end up benefiting Ethereum and the entire crypto-markets by bringing in institutional investors. The other side of the coin, is the two cases described where the value of Ethereum will first rise then tumble as was seen with Bitcoin in the past; and the second case where ETH will be shorted en mass, leading to its decline in value.